Josh Brolin is satisfying his sweet tooth and getting in some family time! The 51-year-old Avengers: Endgame actor joined his 25-year-old daughter Eden and her fiance Cameron Crosby for a fun family outing on Sunday (April 14) in New York City. The trio bought a box of cupcakes from Magnolia’s Bakery in the West Village, and they all sat down at a nearby stoop to enjoy the treats together. Later on in the day, Josh took a relaxing solo stroll through Hudson River Park ahead of what will surely be an action-packed week as he promotes Avengers: Endgame, which hits theaters on April 26. 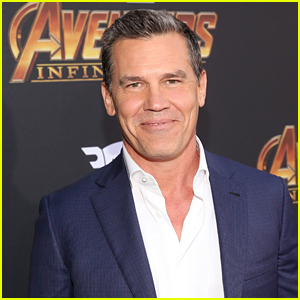 Josh Brolin is one proud dad! The 50-year-old actor announced on Instagram on Thursday (August 30) that his 24-year-old daughter Eden is getting married to actor Cameron Crosby. Eden is Josh‘s daughter from his first marriage Alice Adair. Josh Brolin suits up while attending a special event for his new movie Sin City: A Dame to Kill For on Thursday (August 21) at the Crosby Street Hotel in New York City. 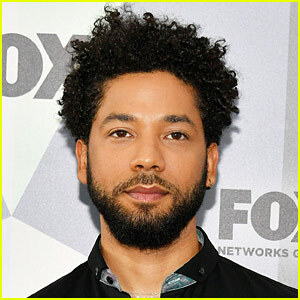 The 46-year-old actor was joined by the writer and co-director of the movie, Frank Miller. Make sure to check out the movie in theaters everywhere this weekend! Earlier in the day, Josh was seen strolling around town hand-in-hand with his 20-year-old daughter Eden. Josh Brolin shows off his buff arms while rocking a cool pair of headphones on Friday (September 13) in New York City. Later in the day, the 45-year-old actor was spotted grabbing two cups of coffee in the Big Apple. The day before, Josh and his daughter Eden were seen heading out for a stroll together. Earlier in the week, Josh and Eden walked back to their hotel after doing some book shopping at Posman Books. “We did. I didn’t have conversations about it, but Zack [Snyder], that was part of his idea. It just didn’t turn out. It’s OK. It is OK. You know, another scenario might have worked better, but I’m happy for Ben [Affleck],” Josh recently told Huffington Post about rumors of him playing Batman. Josh Brolin: Post-Split Broadway Matinee with Eden! Josh Brolin tries to stay dry in the rainy weather in the Big Apple while leaving the Minskoff Theatre after attending a performance of The Lion King on Saturday (February 23) in New York City. The 45-year-old actor was joined by his daughter Eden for one of his first appearances since his split with wife Diane Lane was announced earlier in the week. Josh‘s film Gangster Squad was released in theaters last month.